Cummins ISC 8.3 L Engine, Originally Put into production: 1998. Image Courtsey of Cummins® Inc. If you cast your mind back to 1998 you may think of the Monica Lewinsky/Bill Clinton scandal, Good Will Hunting winning the best picture Oscar or the Denver Broncos winning the Super Bowl. It is also the year that Cummins began manufacturing their ever versatile ISC 8.3-liter engine. Based on the earlier mechanical 8.3 C-series engine, first introduced in 1985, it was designed to improve performance when dealing with heavier loads and steeper grades and delivered up to 400 horsepower and 1075 Lbs of torque. Perfect for vehicles such as fire trucks, garbage trucks, as well as generators and heavy-duty equipment. It is hailed most loudly in the motorhome market where it is regarded as legendary. 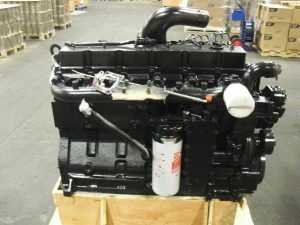 Also known as the "C- Series", Cummins set out to design an engine which would get every ounce of performance and reliability of the engine. As time went by improvements were constantly being implemented to give the ISC “outstanding drivability” with superior ‘breathing’ capabilities’ along with a Cooled Exhaust Gas Recirculation, which doesn’t just get you more miles for your gallon but also reduces emissions by lowering the combustion temperatures. 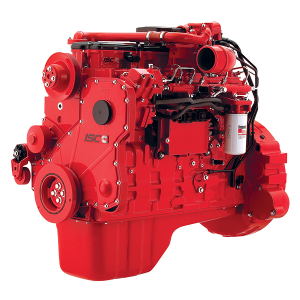 Using their Variable Geometry, (the Holset VG Turbo) and High-Pressure Common Rail (HPRC) fuel system maximized engine response and minimized maintenance outlay. The Holset Engineering Company is a British business that manufactured turbocharges predominantly for diesel and heavy-duty applications and Cummins purchased the company in 1973, turning it into a worldwide brand. 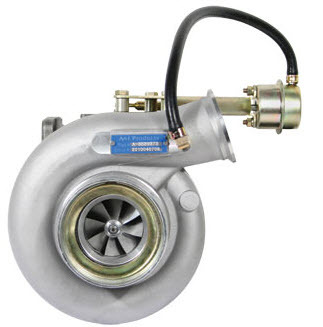 Though Cummins changed the company name to Cummins Turbo Technologies in 2006, they kept Holset as a brand name as it is synonymous with turbochargers throughout the world. The VG turbo makes it possible to use exhaust braking without the need for any extra hardware while at the same time eliminates exhaust break maintenance. It’s activated by using the brake switch in the driver’s compartment, helping the vehicle to stop and reducing the wear and tear on the service brakes. The High-Pressure Common Rail System is a highly efficient fuel injection system that is essential for the clean operation of a diesel engine. It also improves the regulation of fuel pressure and injection timing. It works by the pump applying high pressure to the fuel which is stored in the Common Rail, then injected into the engine. They integrated their advanced electronic controls, improved their high-pressure fuel system, upped the performance of their combustion technology and with ecology concerns growing, gave the engine the capability of greater exhaust after treatment. Nothing was overlooked, and if it could be improved, it was. Replaceable mid-stop cylinder liners made rebuilds easier and gave the engine a longer life. Directed Piston Cooling lowered the temperatures which also extended the lifespan. A crankcase breather which eliminates nearly all oil carry over. A combination full-flow bypass lube oil filter which improves filtration, therefore, giving components a longer life. A high-efficiency lube cooler which lowers the oil temperature but also enhances lubrication. Other technologies were added such as the Diesel Oxidation Catalyst (DOC). The DOC works by oxidizing the carbon monoxide, gas phase hydrocarbons, and particulate matter to carbon dioxide and water, therefore removing the majority of the polluting elements given off by diesel. The DOC works alongside the Selective Catalytic Reduction and the Diesel Particulate Filter systems. The SCR converts the nitro oxide into nitrogen and water. The DPF removes the soot or particulate matter from the gas of the exhaust. It does this by adjusting the fuel injection which increases the exhaust temperature causing the soot to burn off, while simultaneously regenerating the filter. Today, the ISC comes with the Cummins 18.7-cfm air compressor as standard. Other features include sensors that alert the driver of any fuel contamination such as water, that left undetected, could lead to problems with performance and durability. The ISC accelerator is controlled by ECM and has two types of accelerator governors. The Automotive Governor and the Variable Speed Governor. The big engineering feat of the Cummins ISC 8.3 L was the ability to over-lubricate the engine and reduce the possibility of thrown rods or spun bearings. The frequency of oil changes was examined and then designed to dramatically reduce them to, on average, once every 15,000 miles. Maintenance of an engine is key to its durability and reliability and Cummins have ensured that this essential task is not left to chance with their Maintenance Monitor. When set up it will advise the driver as to when maintenance tasks need to be carried out, such as oil drains, filter changes etc. During set up, you need to tell the Monitor essential information like oil grade, type of Turbocharger and Sulfur Content of the fuel. When carrying out maintenance work Cummins strongly recommend using only products that meet their standards of quality. The engine is also equipped with an Electronic Diagnostic system. Unlike the smaller 5.9 L or the 4BT Engine, the ISC is electronically controlled. It’s a very powerful piece of equipment which monitors all of the electrical components in the vehicle by constantly seeking information. It then analyses the data to identify any possible causes of engine failure. Once found the driver is alerted by the way of a warning light. If a Road Relay, which is an onboard monitoring system that provides the driver with trip information such as miles per gallon and engine fault details, is used in tandem, the alert will be given via the visual display in the cab. If the problem identified is severe the engine may limit speed or reduce power output in order to minimize any potential damage. The diagnostic system also acts as a powerful troubleshooting tool, logging fault codes and other key pieces of data each time a failure event occurs. Using this information, problems are quickly spotted, and repairs can be completed in much less time and with greater efficiency. 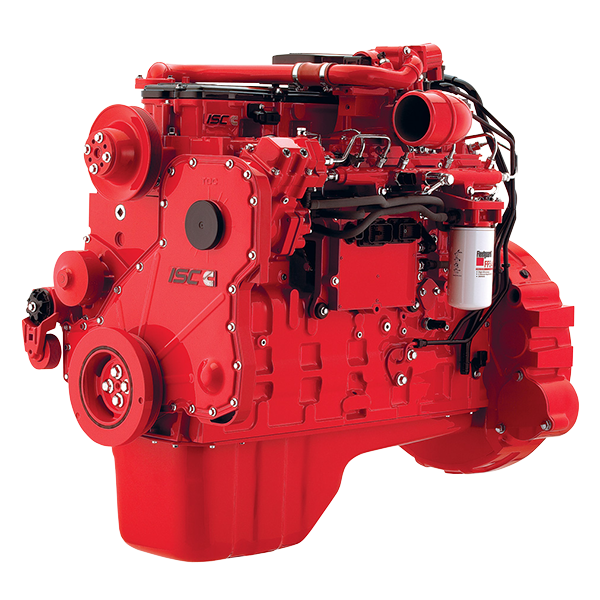 The Cummins ISC engine is also protected by the engine protector systems which monitors critical engine parameters to safeguard against progressive damage. As well as automatically taking action to reduce any potential damage it can also be set to carry out an engine shut down. Unable to be overridden the engine is constantly monitored and protected. The protection system will prevent overheating, over-revving, over-shifting or lack of lubrication. Full-Authority Electronic Controls is also a feature - where a higher microprocessor capacity enables speed for optimum control of the engine and after treatment. Another excellent innovation with the ISC Gear Down Protection. Whilst limiting the speeds when in lower gears, the system maximizes the time in the top gears, meaning better fuel economy and durability. It carries out this task without reducing the engine’s performance. Also enhancing fuel economy is the Idle Down feature. Using the Cruise Control switches, it gives the driver the ability to control idle speed. This also reduces cab noise and vibration. There are three settings to choose from, depending on the type of journey that is to be undertaken. Gear Down Shift Protection – Best use is for long journeys that involve a lot of highway driving. Heavy Load Vehicle Protection – Used to set the top speed for the gear below the top gear when carrying a heavy load. Light Load Vehicle Protection – Again to set the speed for the gear below top gear but for when carrying a light load. The speed range for both vehicle protection options is between 30 – 130 MPH. Configuration is defined properly to get maximum effect with the PowersSpec Auto Calculate feature. Operational data can also be recorded using the Trip Information Monitor. Two types of data are recorded. On-going Data and Short-Trip Data. The data can be helpful in many ways including giving an understanding as to how the vehicle is being used, diagnosing performance issues, helping with fuel economy and how to operate the vehicle with greater efficiency. Engine Millage – Readout of total miles and/or hours logged with the ISC since the ECM was enabled. Fuel Consumption at Idle Speed – Cumulative total fuel consumed while the engine has been at idle as recorded by the ECM. Fuel Consumption – The cumulative fuel consumption used and noted by the on-board ECM. Highest Speed Hours Logged – This figure records the total time the engine has reached the maximum speed and consequently stayed at max speed. Overall Cruise Control Hours – Entire time as logged by the on-board computer where the engine is set on cruise control. 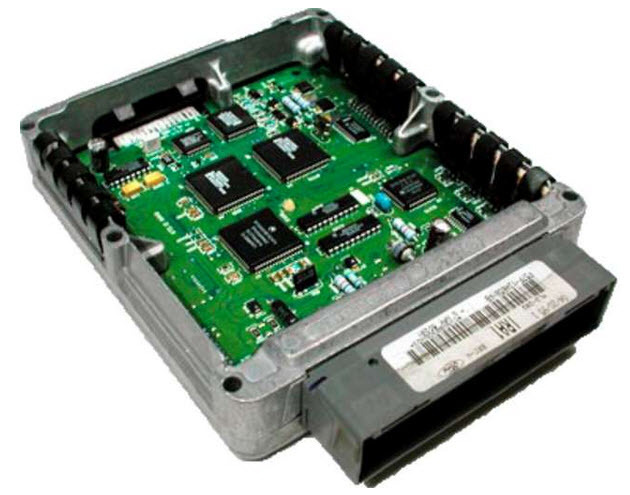 Hours Logged at Idle Speed – Number of hours logged by the ECU while the ISC has been at an idle speed. Does not include fixed governor RPMs for genset or pump applications. Power Take Off Fuel Consumed – The total amount of fuel used by the power take off since the ECU started recording PTO usage. Power Take Off Usage – The total Power Take Off engagement as logged by the ECM of the engine. Highest and Lowest Load – Time logged by the onboard ECM of the percentage of load carried and/or supported by the engine. Time Spent in Highest Gear – Maximum time spent in the top gear as recorded by the on-board computer system. Engagement of Engine Shutdown Systems – Total number of hours as logged by the on-board computer where the engine’s protective systems were engaged. Triggers include excessive temperature, low oil pressure, EGR issues and over-revving. Often known as the "engine abuse report". Maximum Speed Reached – The highest recorded vehicle speed obtained before the calculation was last reset. Miles Travelled – Miles accumulated since the calculation was manually reset by the driver. Fuel Millage – Simple calculation of average miles per gallon before calculation was last reset. Time Spent in Highest Gear – Total number of miles accumulated in the top gear of the transmission since the last time the figure was reset by the driver. Time Jake Brake Was Engaged – Total time the emergency jake brake was used during the duration of the last trip before being reset by the driver. Time Coolant Fans Were Engaged – The total number of hours the main fan had to be engaged due to excessive internal heat, exhaust overheating or overuse of the jake brake. Time Air Conditioning Fan Was Engaged – The total accumulated time the main fan has run due to the air conditioning being turned on by the driver. Select Transmission Configuration – Very important selection between manual and automatic transmission setup. Step Down One Gear Down Ratio – Select proper configuration for the standard ration between the next highest given gear in the transmission. Choose Transmission Top Gear Ratio – A selection that clearly defines the top gear ratio for the automatic or manual transmission for the selected vehicle. transmission. Ratio for Real Axel – Option to define the gear ratio for all one (single speed) axel configurations for the ISC. Define Tail Shaft Teeth Engaged – An option to select how many tail shaft teeth are engaged with the transmission. Define Tire Revolutions Per Trip – Option to configure the overall number of tire revolutions per mile given a certain tire size and tread. Vehicle Cruise Control Configuration – This feature enables the customization of the cruise control settings. Selections include set and accelerate, coast, hold and brake or none. Limited Engine Speed – This particular feature acts as a governor to limit the maximum speed of the engine or to set a standard RPM for continuous rated use mostly for pumps, gensets and other industrial applications. Governor or Vehicle Speed Sensor – Choose between no restricted governor, variable governor, magnetic or data linkage selections. There is also an input for a manual input sensor on the ISC 8.3 L engine. Powertrain Safeguard – This measure is used to protect the engine and transmission in respect to torque output and gear ratio settings. Powertrain Torque Safeguards – Protecting the powertrain against additional strain and over-torque is crucial. This option defines the minimum and maximum torque values to protect the powertrain. There are many other features and little nuggets of genius integrated into the ISC 8.3 L but to discuss them all would turn this article into a novel. 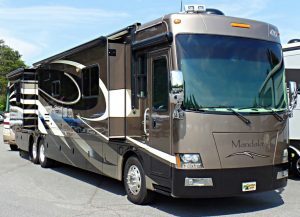 The later successors the ISL and L9 models were not nearly as popular as the ISC and thusly you will still theses engines humming down the road in many weekend warrior RVs. We will be discussing further articles on Cummins engines and hope that you will be back soon to read them. Bore x Stroke 5.31" x 4.49"
Give us a call today at 844-340-4114 for immediate sales and support for the Cummins 4BT, Cummins 6BT / 6CT or CAT 3306. If you have any questions check out our FAQ Page. We are always ready to help or just listen to your crazy off-roading adventures!